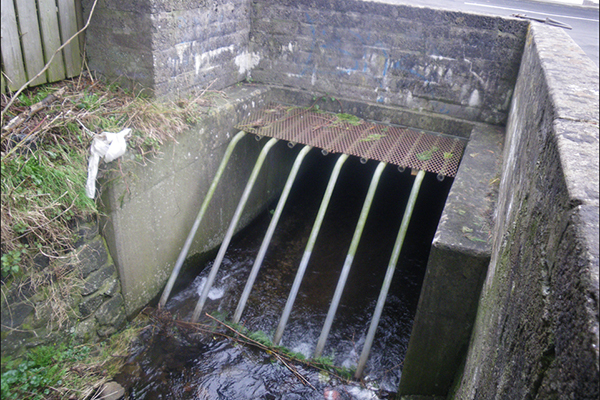 A £200,000 flood alleviation scheme in Ahoghill has recently been completed. The scheme was developed to reduce the risk of the flooding which occurred following a weather event, when floodwater over-spilled the banks of an open section of watercourse and flowed overland into the village centre. This caused internal flooding to 15 residential and 11 commercial properties. The scheme involved the upgrading of the existing culvert system in the grounds of Brookside Presbyterian Church with the replacement of an existing culvert chamber, headwall and grille. There were also further works undertaken at watercourses within Ahoghill where a new box culvert and pipeline were constructed. The construction of the scheme was successfully undertaken by Lowry Building and Civil Engineering. All media queries should be directed to the Department for Infrastructure Press Office on 028 9054 0007 or e-mail: press.office@infrastructure-ni.gov.uk. Out of office hours please contact the duty press officer via pager number 07623 974 383 and your call will be returned.